Please join us at the auction! This year we are changing things up a little bit. The evening will start with fun games and socializing (NO SILENT AUCTION THIS YEAR). Guests will be seated and a catered dinner will be served while our auctioneer leads the live auction portion of the night. Even for those not bidding on live auction items, the bidding wars are great fun to watch! There will also be a “Raise The Paddle” during the live auction, which will allow donors to give directly to Sehome PTSA. This year we are hosting a beach party, “Resort Casual or Aloha Attire” is the suggested dress code. 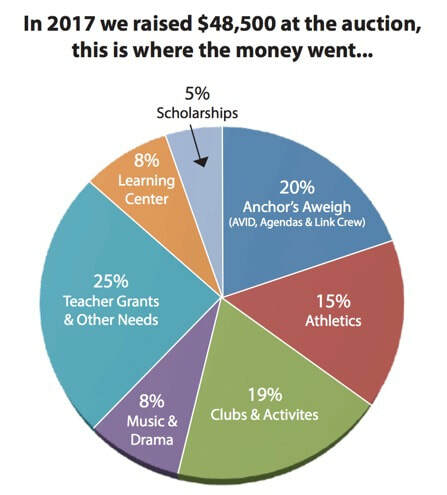 Here is a list of some of the fun things happening this year at the auction: LIVE AUCTION, Balloon Pop Game, Heads or Tails Game, Flower Baskets for Sale, Spin The Bottle Wine Grab, Dessert Dash and more new games!